Tapestry yarn that's used in looms can be made of wool, silk, linen, and cotton fiber. A loom using piece of fabric to make different cloth items. Machine powered looms greatly increase the pace of weaving. 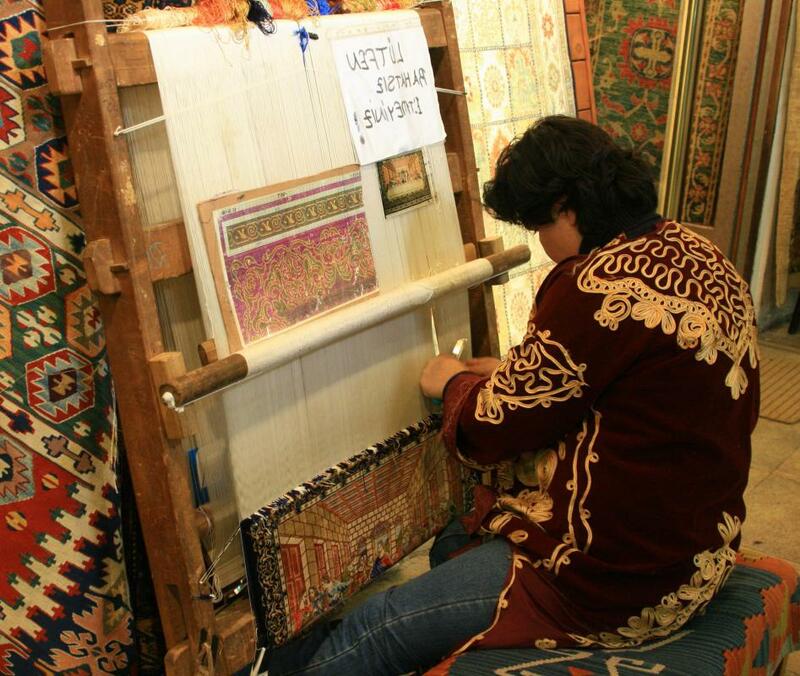 A floor loom is a large scale loom used to weave large projects like blankets and curtains. A loom is a tool used in weaving to help knit threads together to make a single piece of cloth. Loom technology is ancient, dating back at least to ancient Greek society. 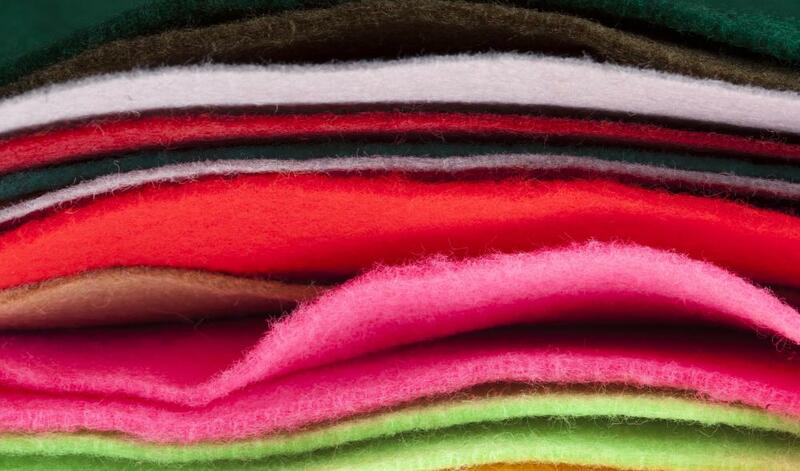 Since the invention of mechanized looms, large scale fabric production has become much more common. People interested in traditional crafts often learn to weave using an old fashioned loom. Weaving is performed by tightly interlacing two threads that are at a 90 degree angle to one another. The vertical threads, called the warp, are usually placed on a loom frame in a manner that will hold them taut. The horizontal threads are called the weft, and are pulled through the warp threads using a guiding device called a shuttle. When the weft thread reaches the far side of the warp threads, one line of the woven cloth is complete. A loom speeds up the weaving process immensely by increasing accessibility and holding the threads in place. In one of the simplest hand looms, called the backstrap loom, the warp is held in place using the weight of the weaver's body. The warp threads are secured to a wood frame that ties to a stationary object on one end, and strap that the weaver puts around his or her back on the other. 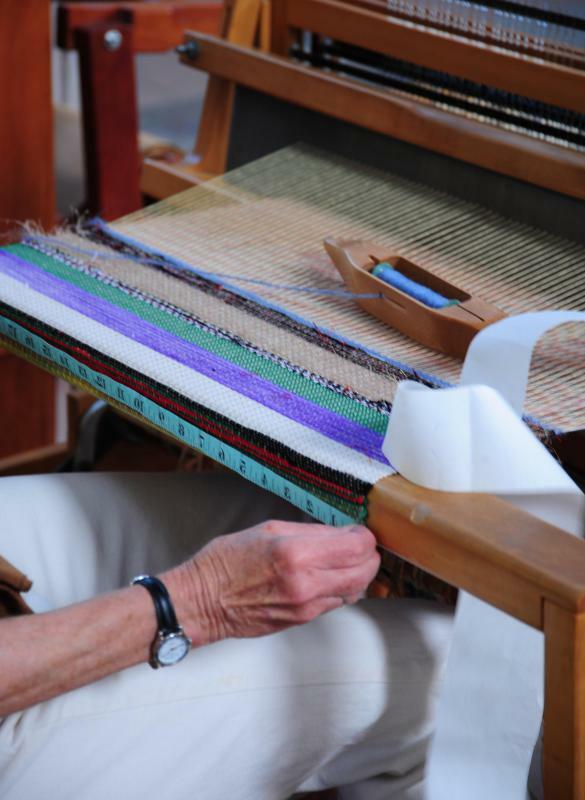 By leaning, the weaver can tauten and adjust the tension level of the warp. Different looms have different mechanisms for easing the process of weaving. Most modern looms feature heddles, a series of wires that hold the warp threads forward or back to create the distinct interlacing pattern of a piece of fabric. In ancient Greece, warp thread was tightened using weighted frames that held the threads in place. Some looms were operated by foot, allowing the weaver to keep his or her hands free for weaving the weft. Loom technology was immeasurably increased by the development of machine powered looms. Yet before mechanized looms could work, the question of how to speed up the weft's progress through the warp threads had to be addressed. The solution, called the flying shuttle, was invented in 1733 by John Kay, a textile worker in England. By placing the shuttle on a wheeled track, the weft could be thrown through the warp and returned far faster than by hand. Though largely obsolete today, the flying shuttle remains a hallmark of the Industrial Revolution. Looms are a major tool in many cultures, used in the production of traditional textiles, such as rugs, tapestries, and fine cloth. Many Native American tribes continue to use hand looms to create traditional cloth crafts. In Europe, Asia, and the Middle East, records of loom weaving date back centuries, and still remain in use today in rural areas or for cultural use. How Do I Choose the Best Power Loom? 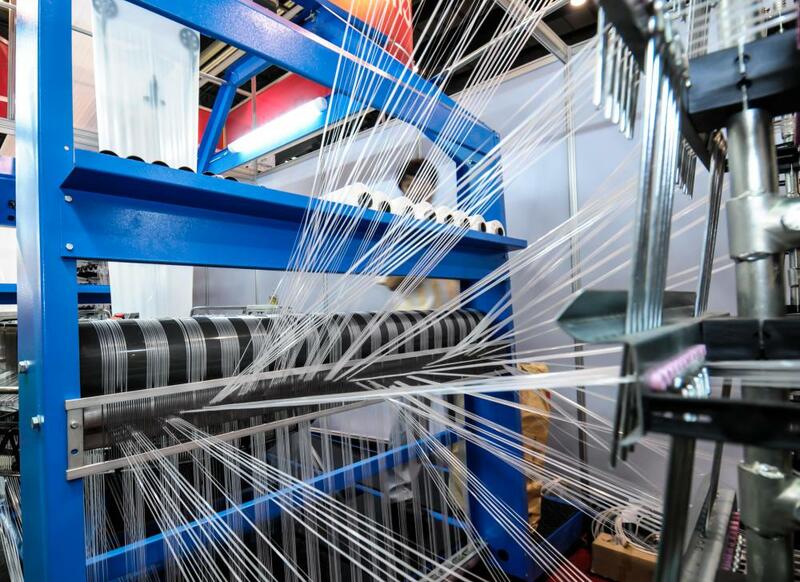 What Are the Different Types of Weaving Technology? How do I Read Loom Instructions? In many pre-20th century homes, a home loom was the only means many women had of providing warm clothing for her family for the winter. Weaving was considered an essential and valuable skill, along with spinning and sewing.